Aritas Securities, the US-based block trading venue formerly known as Pipeline Trading Systems, is now re-engaging with those customers that did not abandon the firm following the regulatory scandal it faced in October last year. Since being charged by the Securities and Exchange Commission (SEC) last year for failing to notify customers on how their orders were being handled, the firm has overhauled its senior management, cut half its workforce and enhanced the institutional trading tools it offers. Aritas is now attempting to re-engage with those clients that stopped trading with the firm because of the charges. Biancamano joined Aritas in November 2011 from rival block crossing network Liquidnet, where he was global head of marketplace and corporate strategy. He has also worked at agency broker ITG, which operates the POSIT dark pool in Europe, the US and Asia. Prior to the regulatory scrutiny, Pipeline regularly had trade sizes of around 50,000 shares, far larger than any other dark pool bar Liquidnet. In the wake of the SEC investigation, many buy-side firms intensified their due diligence processes across the dark pools they use. However, Biancamano adds that, “business is slow across the Street, so even if we do reconnect customers they may not have much to trade”. The firm has also enhanced the predictive logic used by its Algorithmic Switching Engine, which aims to minimise market impact by using a range of algorithms to execute a specific order based on the strategies recommended by Alpha Pro. The SEC fined Pipeline US$1 million in October for failing to tell customers that the majority of orders executed in its system were matched by a proprietary trading subsidiary. Former CEO Fred Federspiel and former chairman Alfred R. Berkeley were each fined US$100,000 before leaving the firm. The proprietary trading firm in question, Milstream Strategy Group, was entirely owned and funded by the dark pool operator and managed by Federspiel between 2004 and 2006. In the first four months after Pipeline’s launch in September 2004, Milstream was the counterparty to 97.5% of transactions executed on the Block Board, dropping to 87% in 2005. From launch to 31 December 2009, Milstream is understood to have participated in 80% of Pipeline’s trading volume. The SEC said Milstream’s involvement with customer orders was contrary to Pipeline’s claims to customers that its flow originated from “natural” counterparties. Aritas divested Milstream shortly after Biancamano’s appointment. 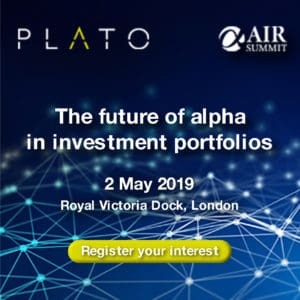 The firm’s US troubles have spilled over into Europe, where the firm launched versions of the Block Board, Alpha Pro and the Algorithmic Switching Engine all at the same time last May. The UK-based venue, which was registered as a multilateral trading facility under MiFID, was originally due to launch in April 2009 under the management of Marcus Hooper, but faced a series of regulatory delays. By the time it finally launched last year, dark pools had proliferated in Europe, with around 15 available at the time. European trading has been extremely slow since October and Biancamano admitted that the firm’s strategy in this region is currently being evaluated. 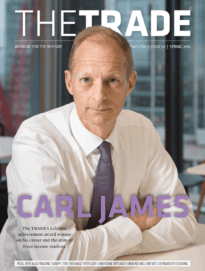 According to figures from Thomson Reuters Equity Market Share Reporter, Aritas traded €934,853 in October 2011, the last month it published trading volumes with the data vendor. By comparison, the dark pool run by Chi-X Europe, which has since been acquired by US market operator BATS Global Markets, traded €5.95 billion last October, representing 23.3% of dark pool trading in Europe.